So how can you help and have a real impact on our community? Be a part of the Shop Local Raleigh movement by celebrating independent business and shopping locally. Thanks in advance for your interest and support. 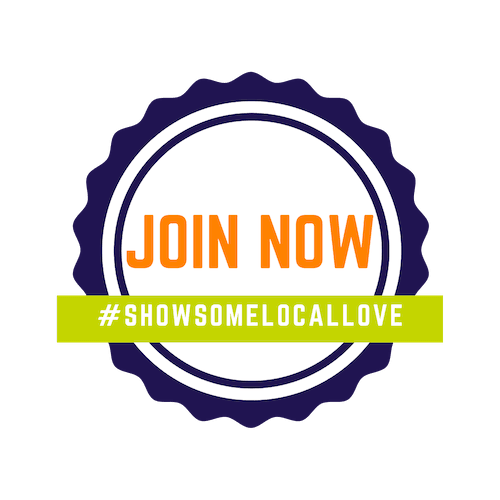 Show some local love! Get involved with Shop Local Raleigh, and send a message that we support our hometown businesses. Nothing spurs the economy more than when people are spending money, and spending your hard-earned dollars with local businesses is even better. Browse local businesses. Receive our periodic e-newsletter letting you know about new local businesses, stellar deals, events and more. Talk to your friends, family and neighbors. Tell them the Shop Local Raleigh movement makes a difference, and encourage them to visit our website and directory. Ask your favorite local business to join, and if you visit a local business that you found in our directory, be sure to tell them so. As a non-profit organization, we can always use volunteers. Shop Local Raleigh needs help with events, special projects, research and more. Contact us if you are interested in helping raise awareness of the Shop Local movement. Help us further our outreach, research and education so local businesses can thrive. As Tom Campbell at Durham’s The Regulator Bookshop says, we aren’t asking you to “Shop Local Only” but to “Think Local First.” Shift your spending habits to a more local slant, and remember to search Shop Local Raleigh before making your buying decision.